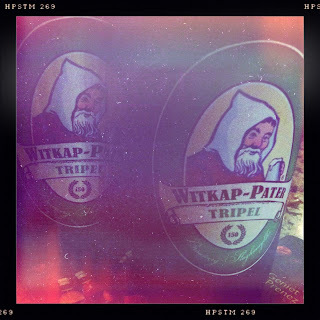 Another Belgian ale we should have tried already, Witkap-Pater Tripel is apparently a bit of a classic. It turned out to be something of a disappointment, however. The taste, though, was a flash of biscuit that quickly disappeared, then pine and, oddly, menthol, followed by rosemary. Complicated, perhaps, but not something I’d order again. In short, I wouldn't write a long blog piece about it.